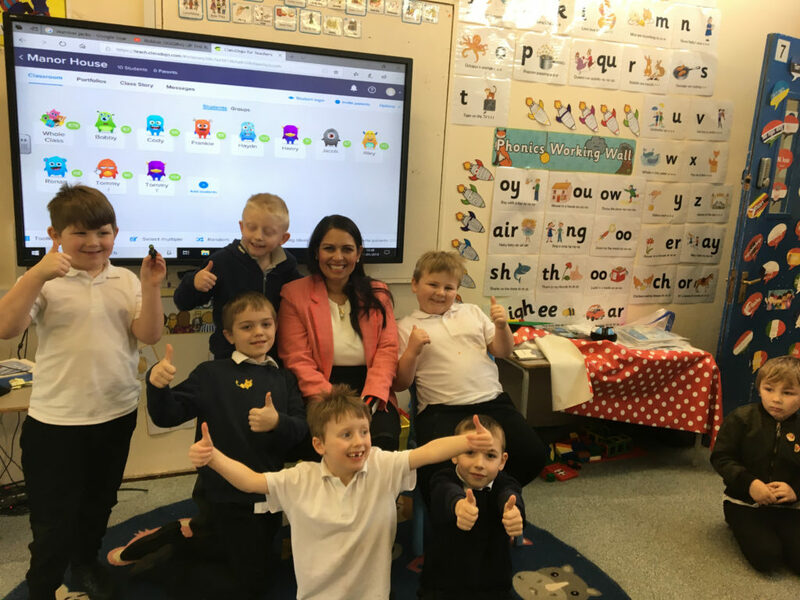 Witham MP, Priti Patel, popped into Templars Academy on Thursday afternoon to meet with pupils and teachers from across year groups [Thursday 31 January 2019]. Priti spoke with pupils about their school projects and their ideas for Get Witham Reading 2019. First launched in 2012, Get Witham Reading is now in its eighth consecutive year and encourages children, their parents and teachers to participate in reading activities. Priti will be publically announcing the date for this year’s Get Witham Reading event soon. During her visit, Priti also had the opportunity to speak with teachers about school improvement and issues relating to special educational needs and disabilities (SEND).